Thousands of students have urged a major research university in the United States to drop a patent claim in India related to an important cancer medicine, with the aim of making affordable versions available. Universities Allied for Essential Medicines (UAEM) delivered 3,500 signatures this week to the University of California, Los Angeles, (UCLA) President Janet Napolitano, urging the university to drop its patent claim filed in the Indian High Court for enzalutamide, a prostate cancer medicine, according to a UAEM press release [pdf]. Enzalutamide is a “publicly-funded cancer drug discovered on the university campus,” but “the patent filed with the Indian High Court in Delhi by UCLA [was] on behalf of the pharmaceutical corporations,” according to the press release. The drug, marketed by Pfizer and Astellas as Xtandi, “is currently sold in the U.S. for as much as $150,000 per annual treatment,” according to the release. The patent claim “would prevent generic production of the drug in India, preventing access for millions given that the country is known for developing and exporting most of the world’s generic medications,” it said. Activists hope that the signatures will push Napolitano to start prioritizing affordable cancer medicines at the “flagship” university this year, according to the release. “We are greatly disappointed that Sherry Lansing, David Geffen and Janet Napolitano are hell-bent on cutting off the possibility of low cost generic versions of enzalutamide in developing countries where billions live. The University of California has declined to provide a rationale for why it is compelled to pursue patent protection in India, after the patent was rejected by the India patent office. The prices in developing countries by Astellas are exorbitant and the decision by the board of regents to support this litigation are a stain on the character of each member,” Jamie Love, director of Knowledge Ecology International, said in the release. 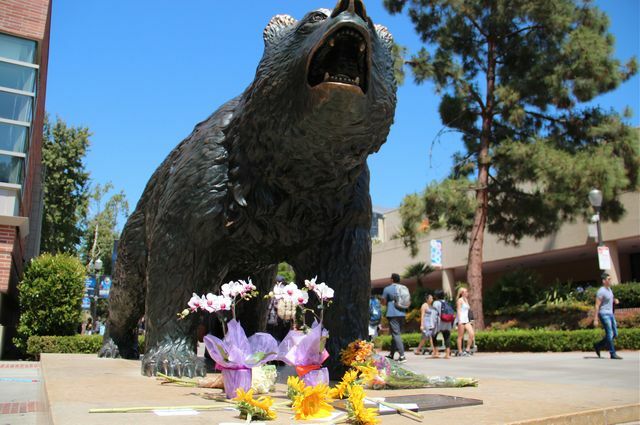 "Students, Activists, Swarm To Demand UCLA Drop Indian High Court Patent Claim" by Intellectual Property Watch is licensed under a Creative Commons Attribution-NonCommercial-ShareAlike 4.0 International License.